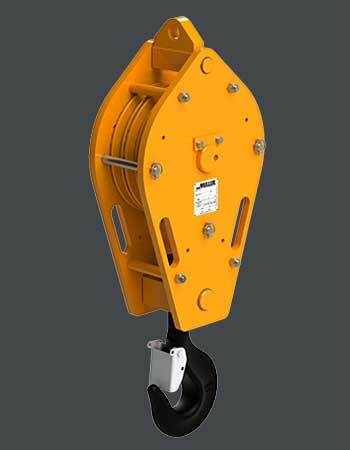 The Reeve-Thru™ design of Miller Mobile Crane blocks allows easy passage of the wire rope without removal of the end fitting, for quicker changeover. Lifting capacities of 15 to 80 tons with sheave sizes to 24" outside diameter. Design factor 4:1 minimum.